Not So Plain Jayne: Hair Update: Moving over to the dark side..ish. Recently I'd been getting pretty bored of my blonde locks and really wanted to have a bit of a change. Since I'm moving back to Uni next week I thought that going darker would be a good plan, as I won't be able to get back to the hairdressers until Christmas time and my roots can become pretty unsightly. Brown hair is also a lot less high maintenance than blonde and I felt like giving my mane a break from all the bleach. I booked myself in for an appointment at my usual hairdressers, KH Hair - Ilkeston . I told my lovely stylist Becca that I wanted to go back brown but I wasn't ready to say goodbye to the entirety of my blonde. 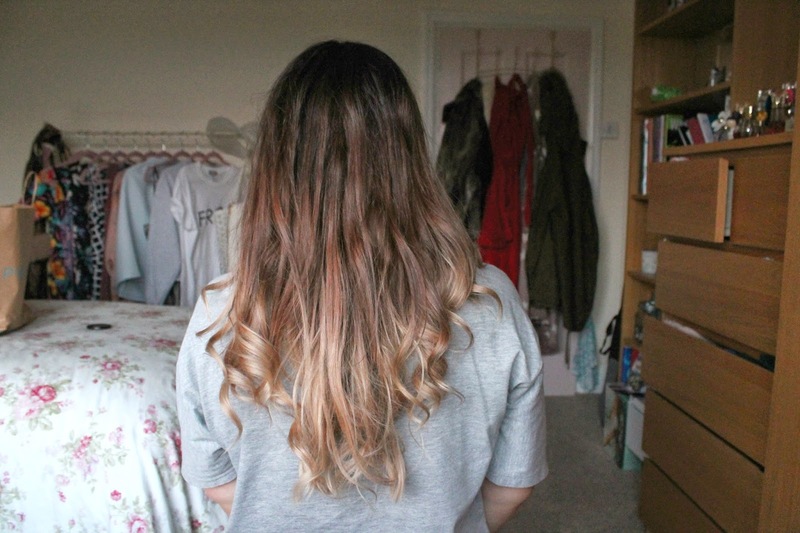 I had previously had a dip dye and asked if it was possible to go back to that. I was advised that the colour may not come out as dark as expected as it was going over the top of highly lightened hair. Therefore we settled on a rich, deep brown colour in anticipation that it will fade over time. During the process of dying my hair the roots were done first. 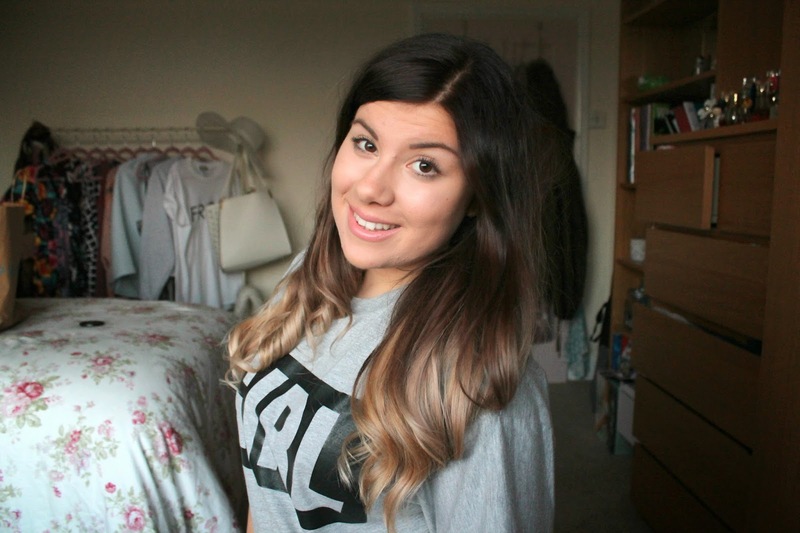 Next the dye was painted onto sections of my hair and smoothed down the lengths to create the Ombre effect. I love this technique as it made the colours seamlessly gradient from brown to blonde without any harsh lines. Finally we decided to tone down the blonde tips in order to get a much more natural ashy blonde. 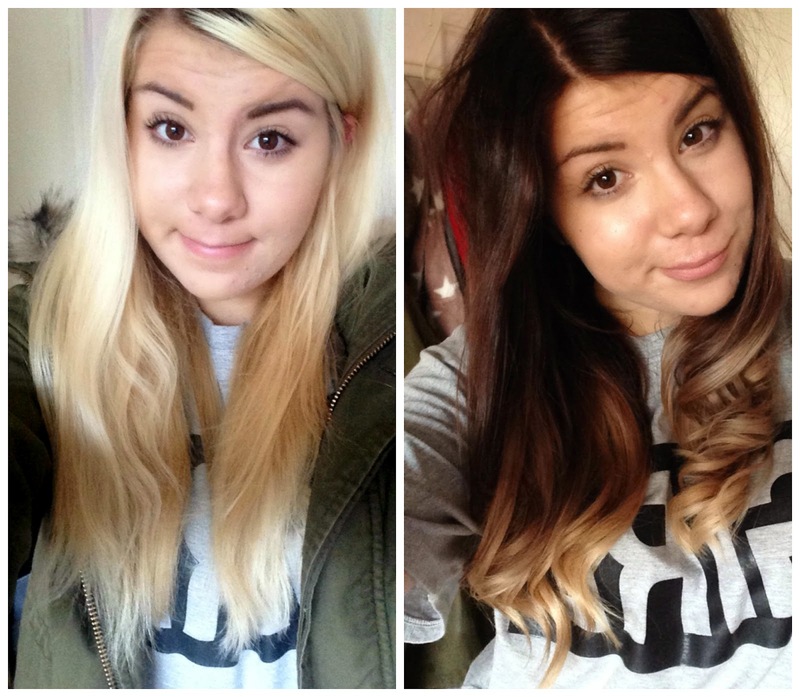 This was achieved by briefly coating the ends in a bleach whilst the brown was being washed out. This helped to maintain the vibrancy of the colour and stopped the lower section from becoming too yellow toned. I then had a colour save treatment all over to replenish the nourishment and help to lock in the dye to keep that freshly dyed look from fading too quickly. I then had it dried and styled by another one of the hairstylists, who I whole heartedly commend for her patience, considering it takes forever to do anything with my hair due to it being so thick. I was in the hairdressers for a total of just over 3 hours - which is pretty insane! This was due to having to dye the top twice, as the first time around it went a little patchy. Also as I mentioned previously my hair is an absolute nightmare to style, so drying and curling my hair probably took a good hour. I actually went pretty much straight into town for a little bit of Uni shopping after getting my hair done so I didn't take these photos until that night. By then the curls had dropped out significantly and the light was all but gone. Apologies for the darkness of the photos but I'm sure you'll get a better look at it in future blog posts. Needless to say I'm absolutely obsessed with my new hair and can't recommend KH Hair enough. Top stylists who are patient and endlessly lovely, not forgetting their incredible skills in giving you hair beyond your expectations.